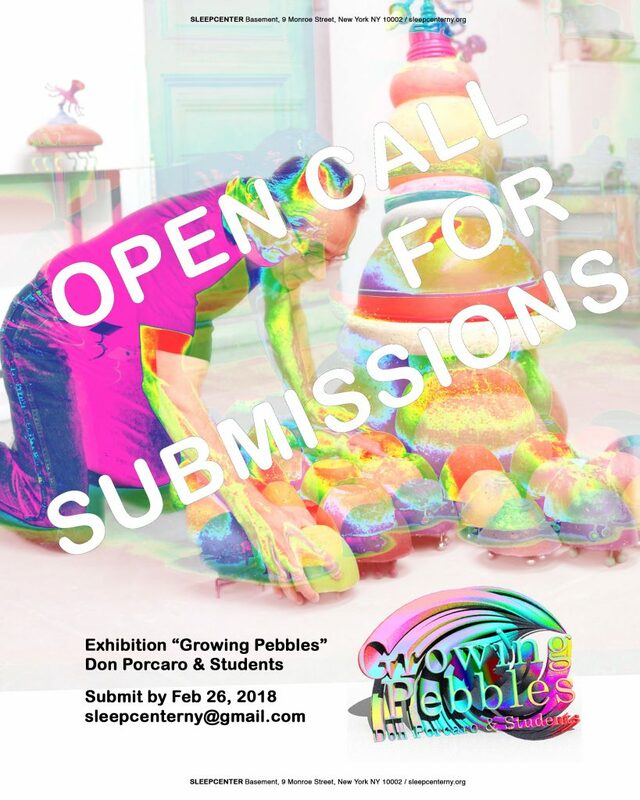 In celebration of Don Porcaro’s 43 years of teaching at Parsons Fine Arts, and his lasting influence as an artist and educator, SLEEPCENTER is honored to present Growing Pebbles, an appreciation exhibition program, comprised of a solo show of Don’s works, and a group show of Don’s current and former students. In thinking about the specifics of the work, our suggestion is to keep it small in size, but large in heart. The deadline for submission is February 26th. If you are interested in participating, please contact us at sleepcenterny@gmail.com.